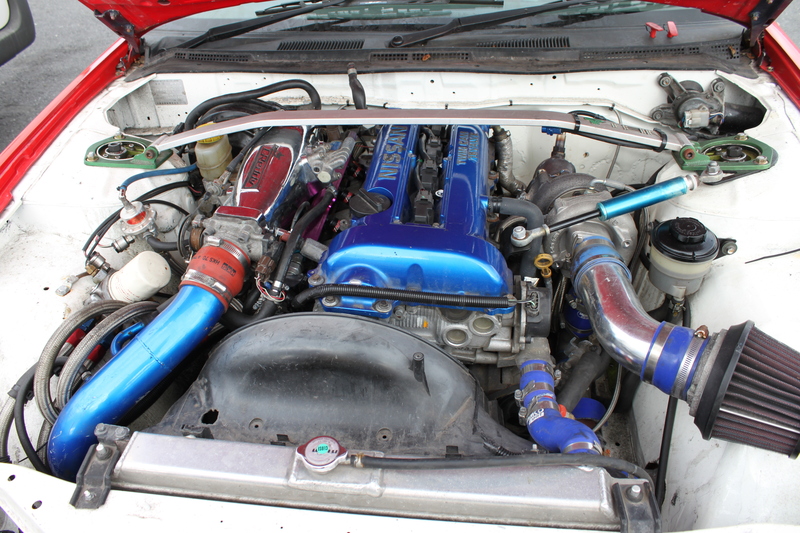 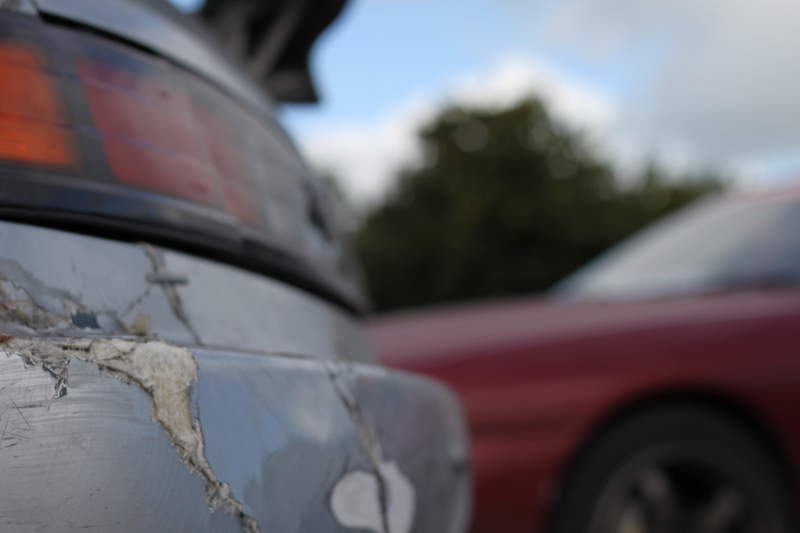 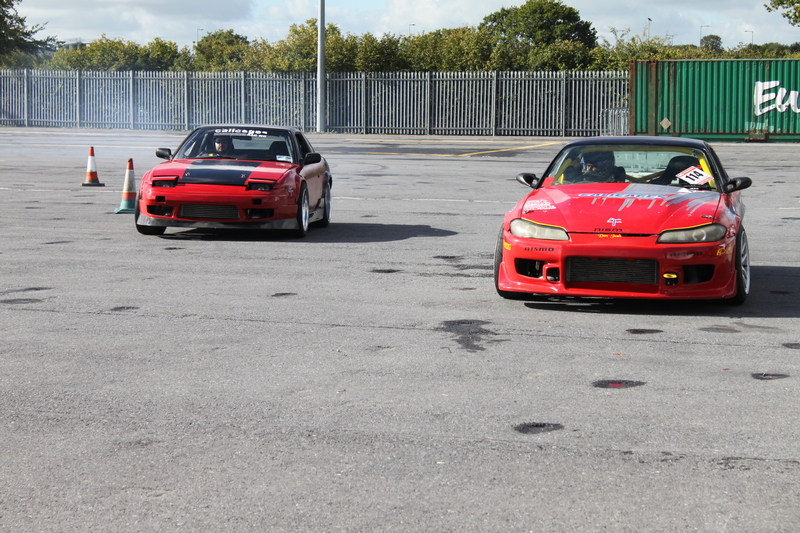 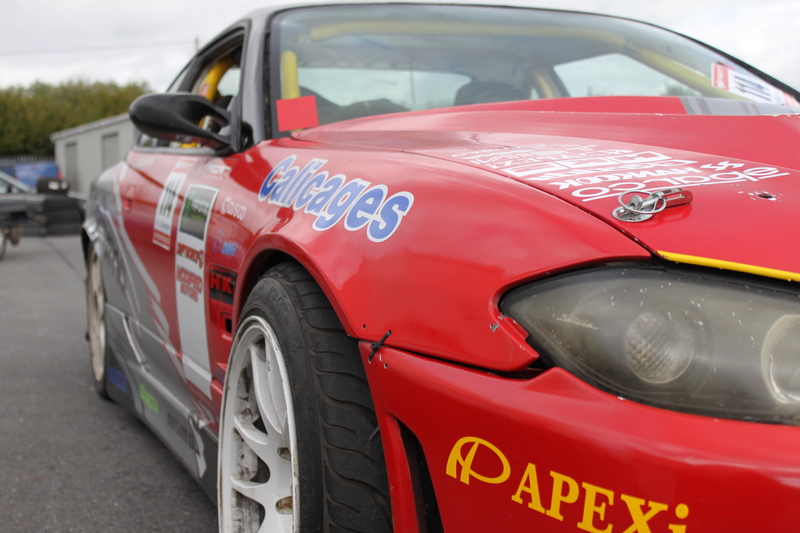 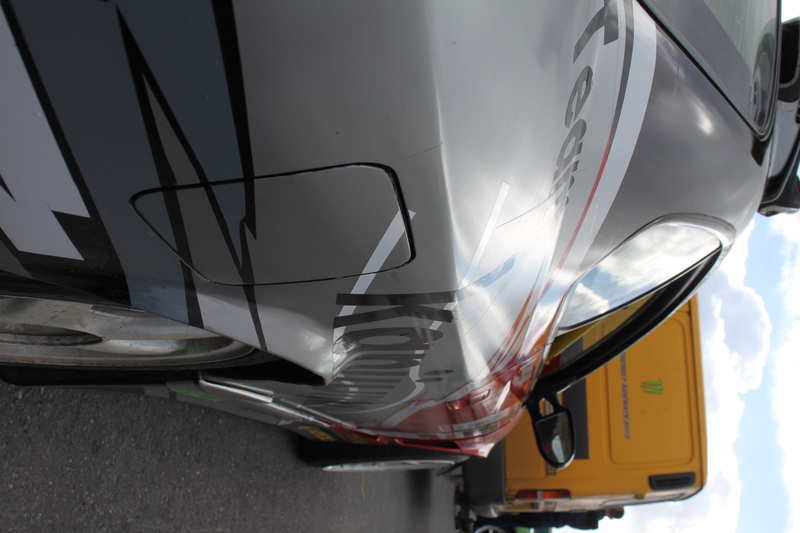 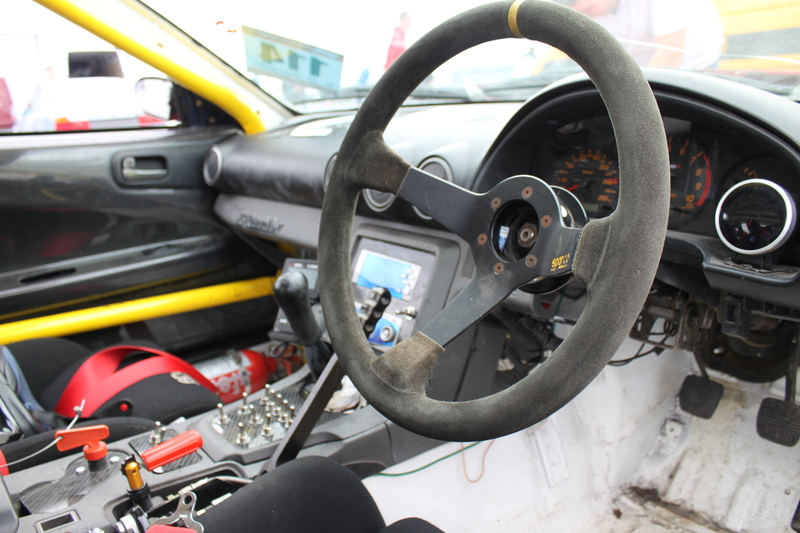 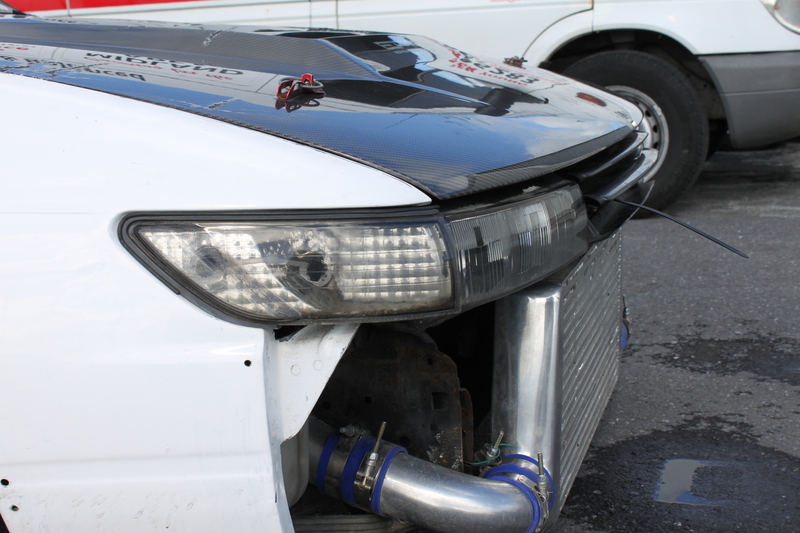 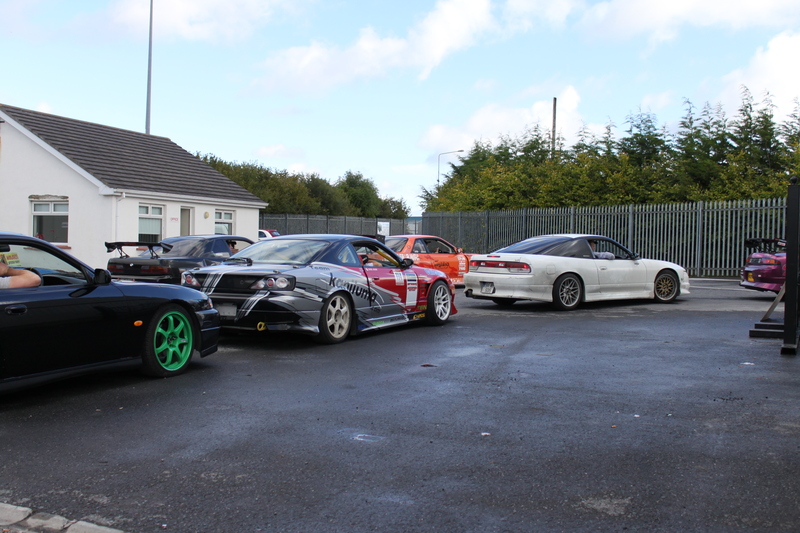 Sunday I was treated to sight in Portlaoise that’s a must for every petrol head, Drifting. 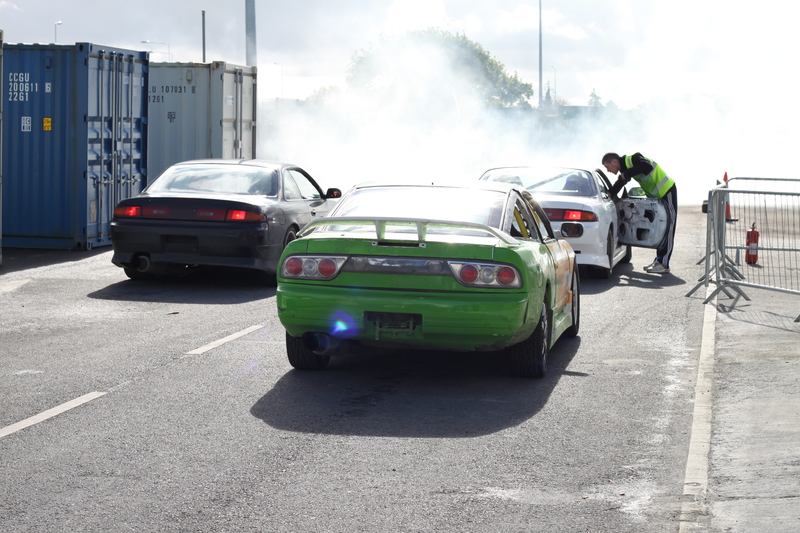 The smell of burning tyres and petrol fumes excites me and watching cars go sideways in a controlled environment is even more exciting. 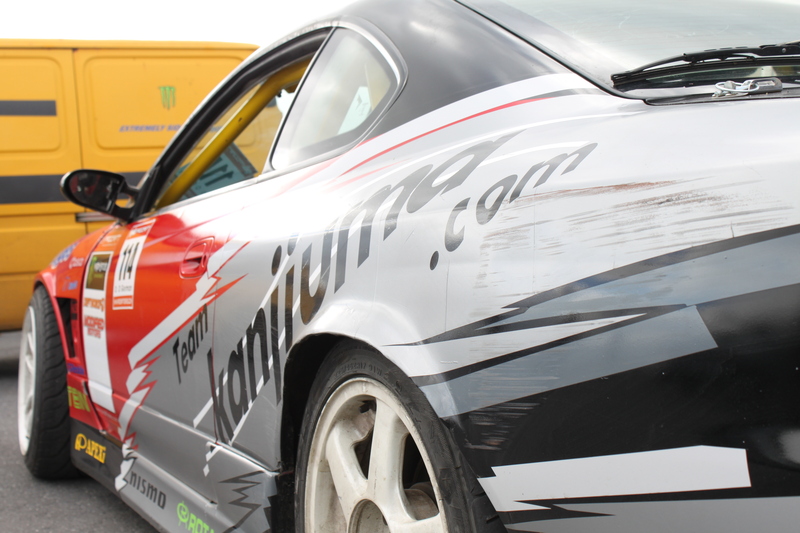 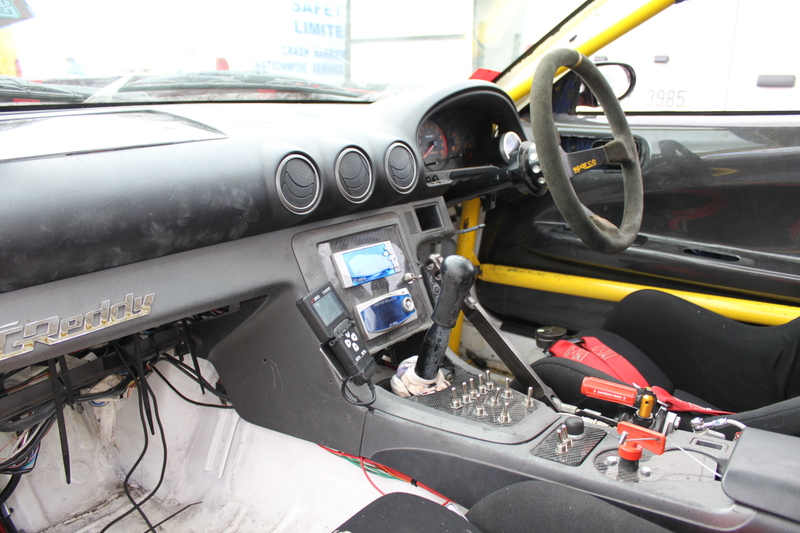 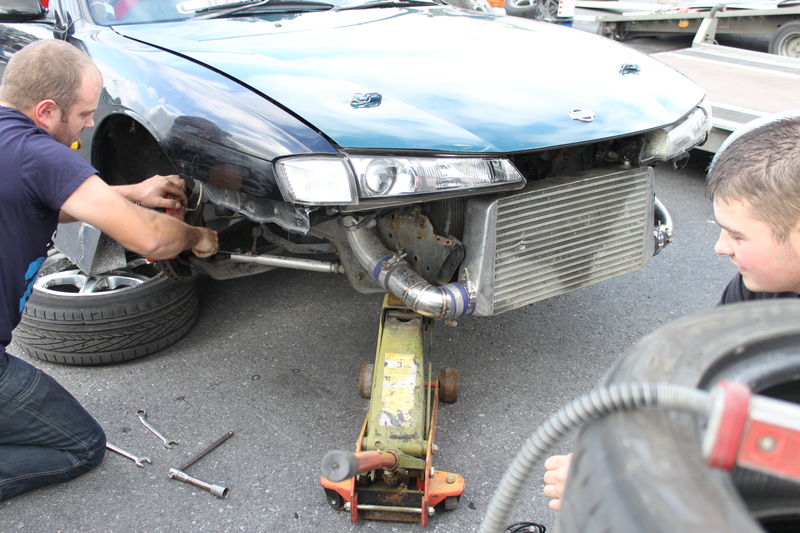 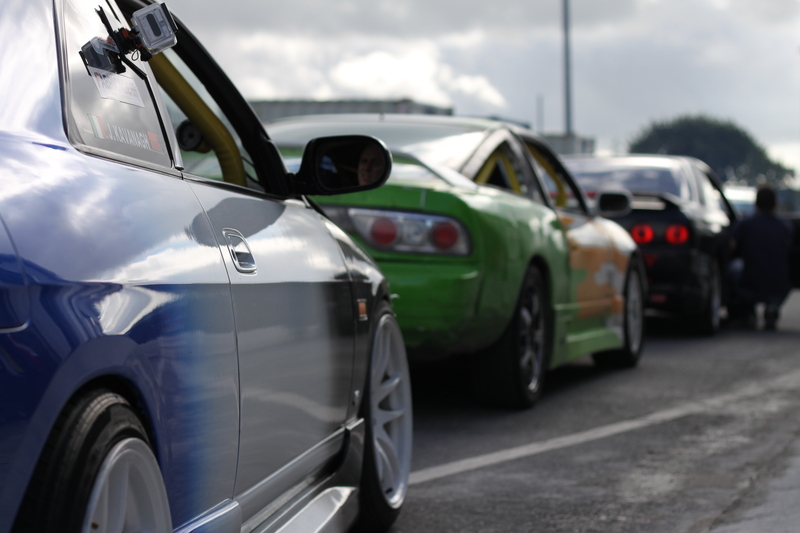 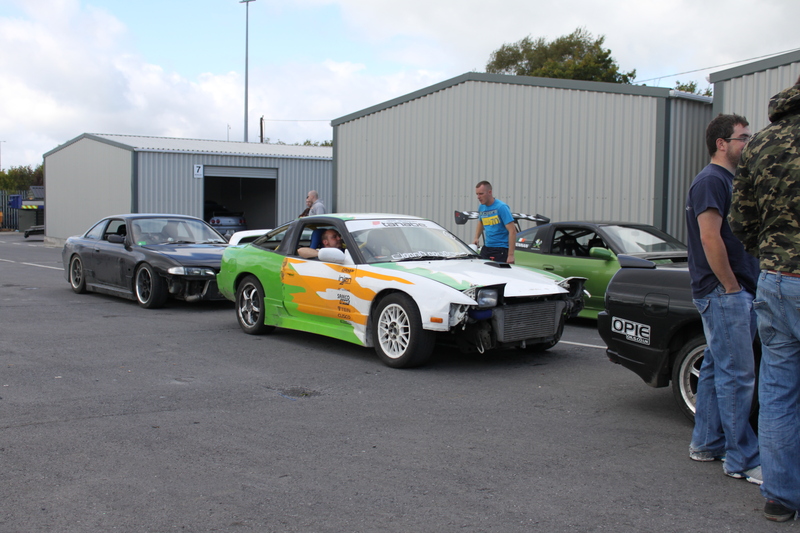 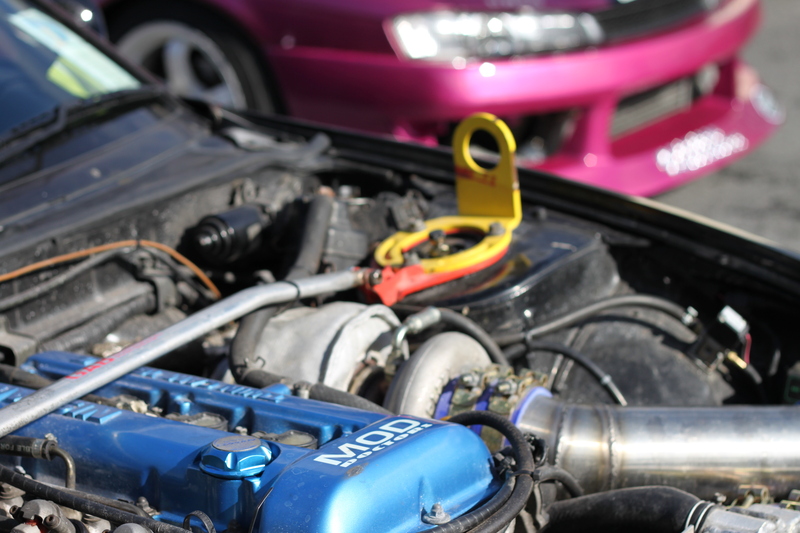 For €50 the drivers bring their drift cars to Clonminam Industrial Estate in Portlaoise where a man has re-invented his business model from being a container depot to a Market on Saturday and a Drfit track on Sundays. 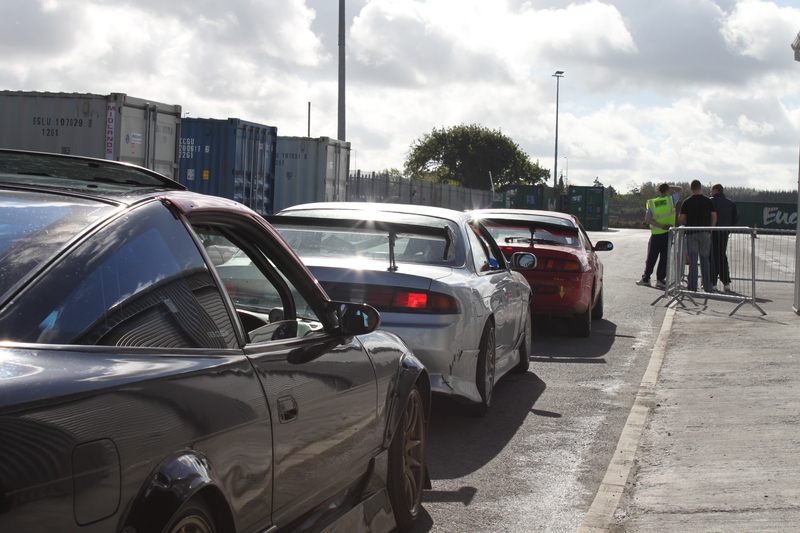 Martin Kealey has a 2 acre tarmac yard that used to be full of shipping containers and now some of those containers serve as crash barriers. 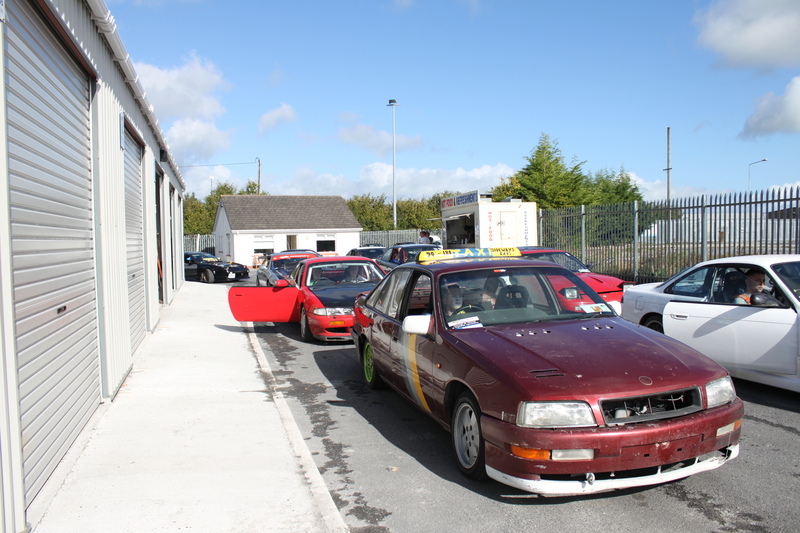 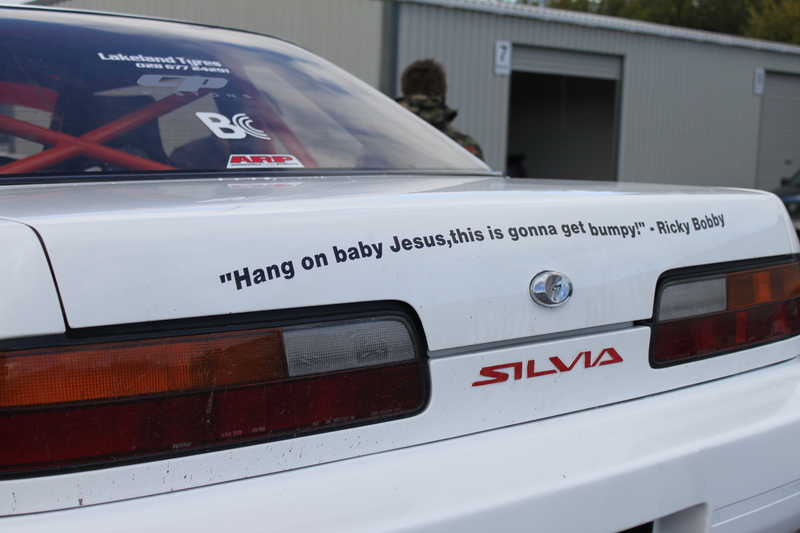 It’s a fantastic resource for a growing sport, I spoke with one of the drifters who called himself Don Juan, he had brought 16 sets of tyres between two cars. 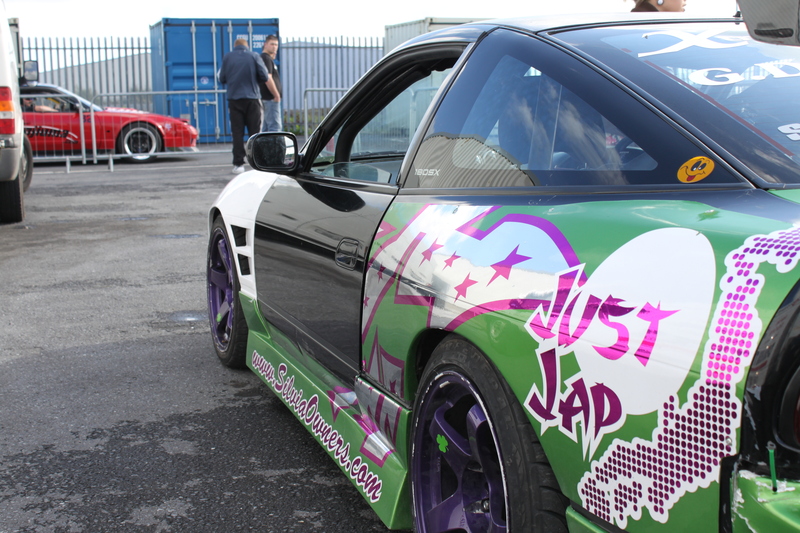 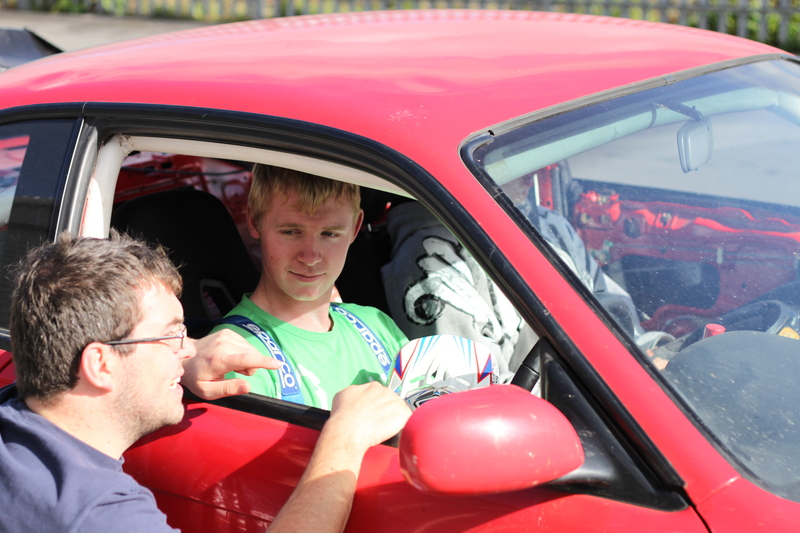 “€50 that’s nothing, we get to use the cars the way we want to, it’s great practice.” Don is looking for a sponsor too help out with the costs of running a drift car, he wants to enter the races and from what I can see he looks well placed to win some too, great car, great driver. 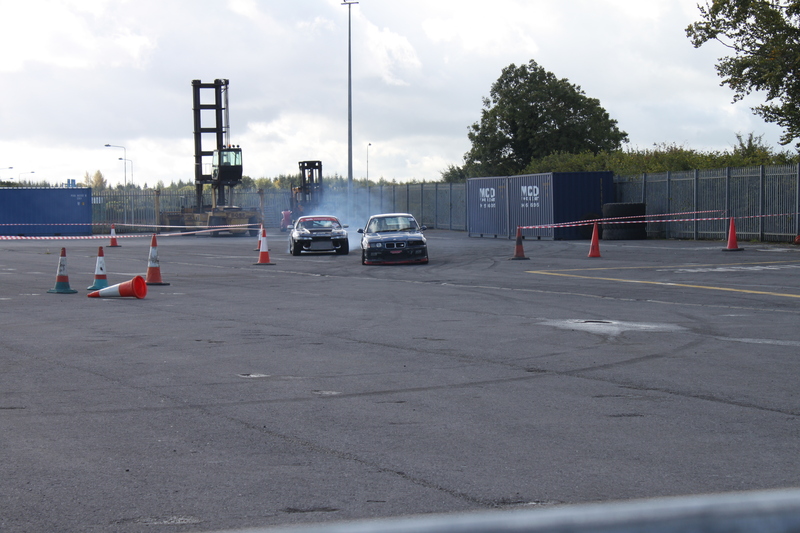 Here’s some pictures and a short video of some action. 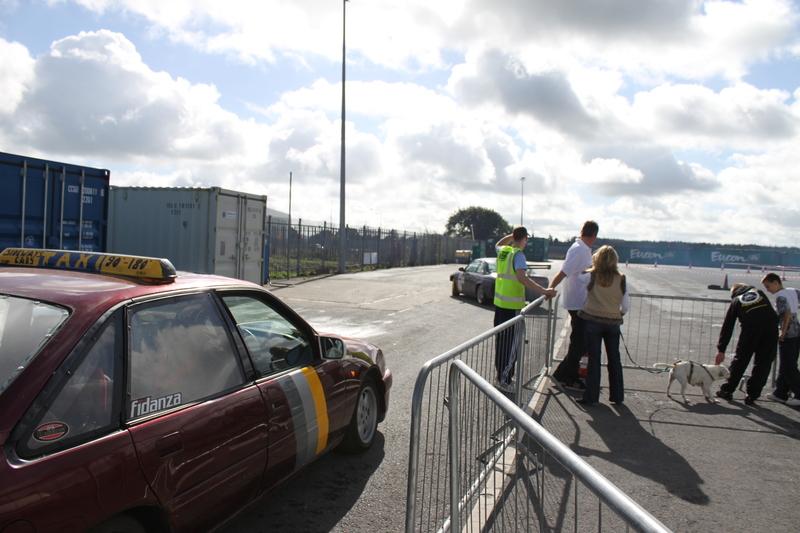 It’s €5 in for spectators, there’s a food van, seating area, toilets and parking. 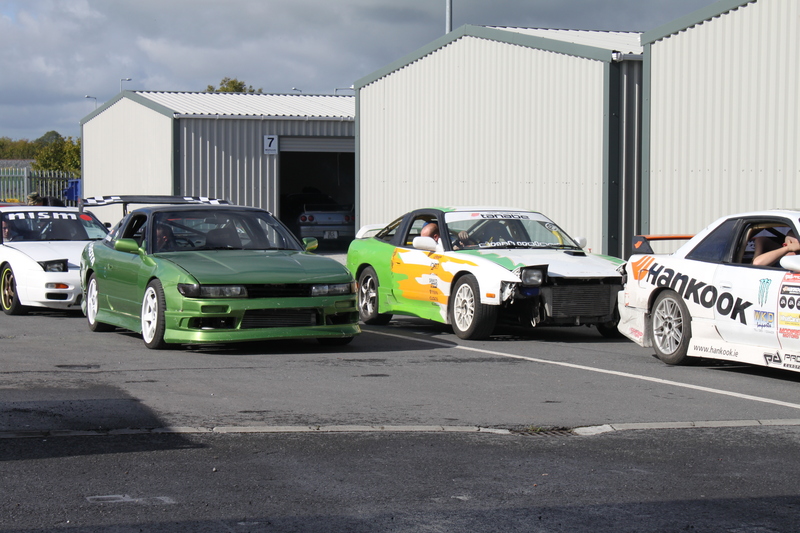 It’s worth a trip just to see these guys in action.